Water Matters > Education > What Are The Available Upgrades for Whole Home Water Filtration Systems? 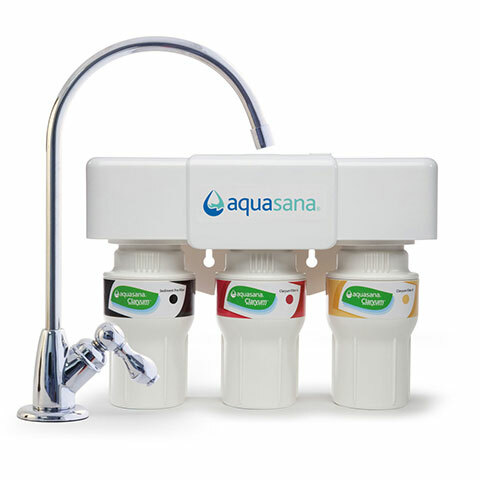 Aquasana Whole House systems make clean water easily accessible, with Performance Enhancing Upgrades. 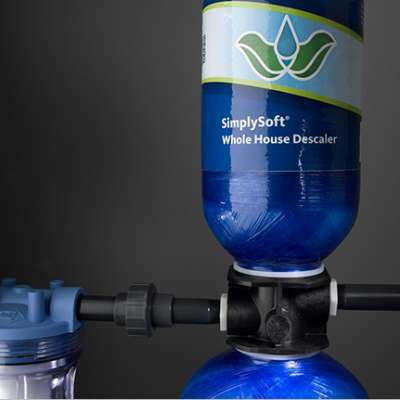 It’s never been more convenient to own a top of the line water filtration system. Check out a couple of our bestsellers below, and read on to learn all about the different upgrades and accessories you can add to improve your home water filter system even further. 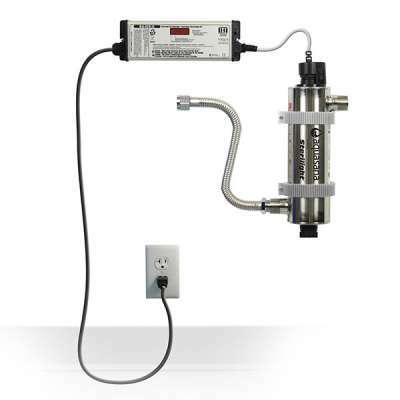 The Pro-Install Kit includes a longer lasting Sediment Pre-Filter and a Sub-Micron Post-Filter. 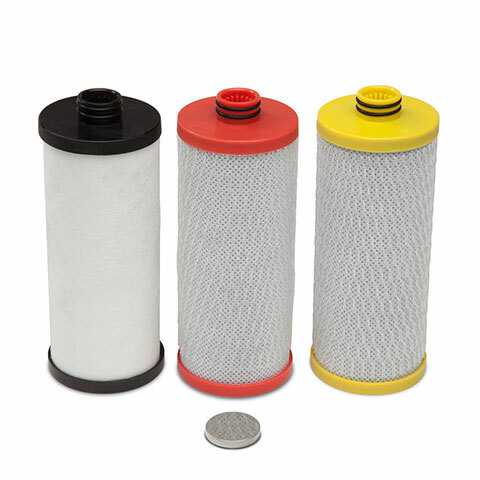 Together they provide increased system performance by decreasing TDS (Total Dissolved Solids) in the water and add a whole new layer of protection against organic particles and microscopic cysts. 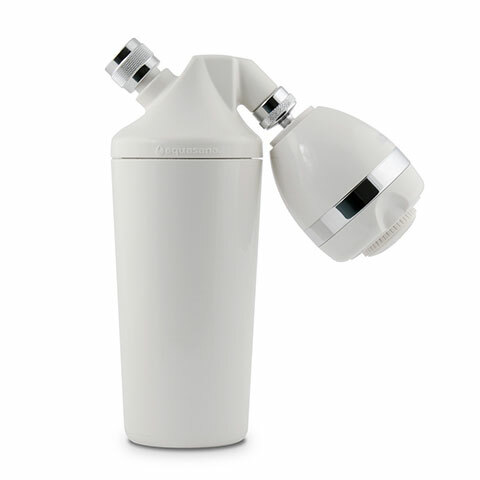 The post-filter removes particles down to 0.35 microns – that’s smaller than the eye can see! The Pro-Install Kit makes installation a breeze and comes with some added features you’ll love. Installation is made easier for any plumber with the brass fittings and valves that come with the Pro-Install Kit; and that’s not even the best part—these fittings allow the addition of a “bypass” loop so that filtered water isn’t wasted while watering the lawn or filling up a pool. Unlike traditional softeners, this component is a descaler. Rather than using a salt-softening system that requires additional steps, the Simply Soft SCM technology encourages calcium and magnesium to bond. This prevents hard water buildup from sticking to the interior of pipes, shower heads and appliances. The dual tank system is designed to hook up seamlessly with the whole house water filter system. It won’t demineralize your water by chemically removing minerals from the water nor will it put excess salt waste or chemicals into the water or our environment. The UV-Kit is a must-have for untreated or non-potable water. This automatically comes with a Well Water System because well water has not been treated by the city. The Aquasana UV filter kills 99.9% of viruses, bacteria, and chlorine-resistant cysts. Even with city water, the UV-Kit can protect against bacteria and cysts that resist municipal water treatment. Many cysts like cryptosporidium and giardia are chlorine-resistant which means that when the city treats your water with chlorine or chloramines, these cysts continue to survive. If you receive boil warnings from your water supplier often, or if you’re worried about them, the UV-kit is an added sense of protection to ensure the water you’re drinking is bacteria and virus free. The UV Filter Kit can easily be added it to an existing system. From easy installation to upgrades you can add anytime, Aquasana’s convenient Whole House System makes tailoring filtration to your needs as easy as a few clicks.